I found some great deals at the JCPenney store in Crossgates mall. Clearance items seem to be tucked in throughout the store and I found a number of items in the girls department that were only $1.99. 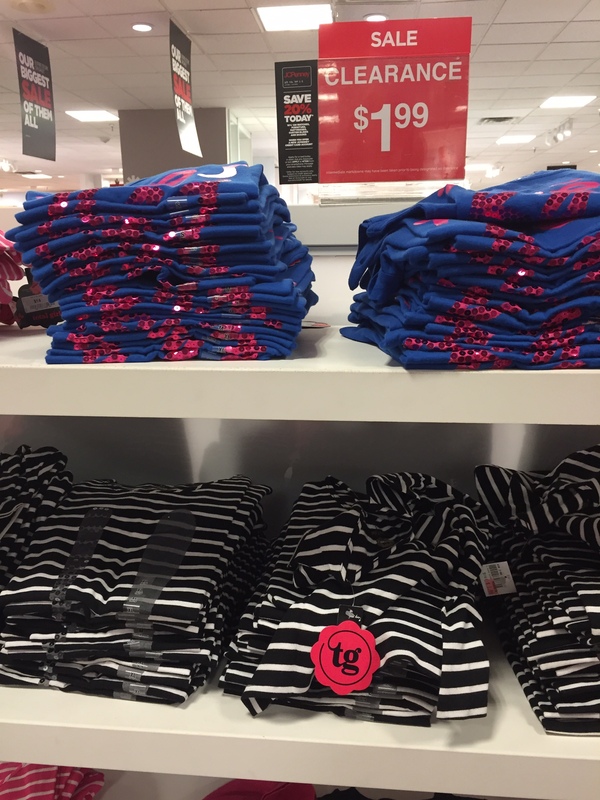 Girls short-sleeved shirts starting at size 4 were $1.99. 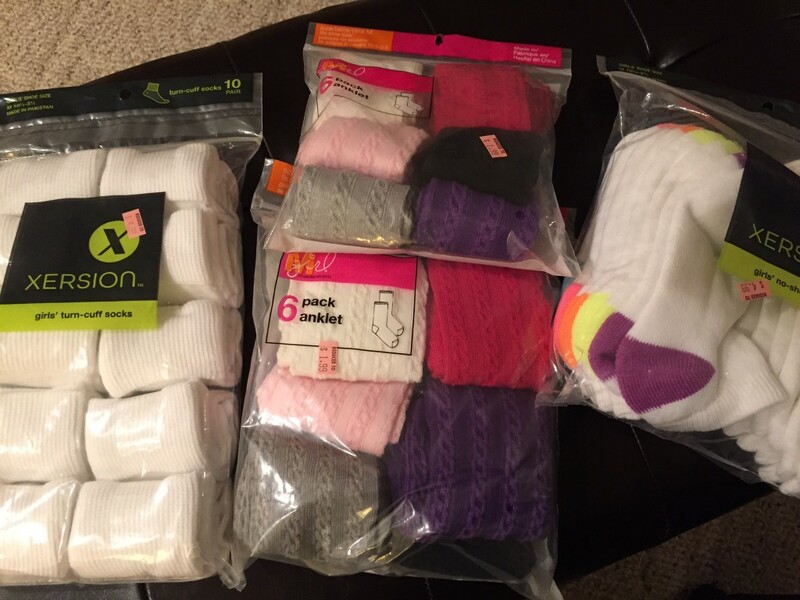 Socks for little kids can be expensive but I found a wall of socks marked down to $1.99 (the packages in the center) and $4.99. These were regularly $14-$18 a pack!! 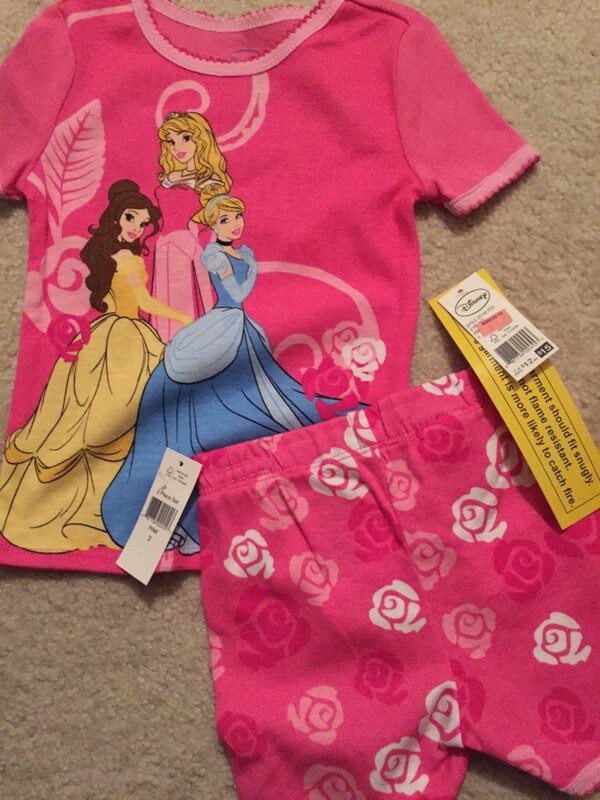 Tucked in on a Disney rack were these toddler pjs for $1.99 (sizes 2T-4T). Tip: I found most of these items in places that were not even marked as clearance so look around! Admittedly, I only shopped for girls but there are likely similar deals in other departments. Let me know what you find! This entry was posted in Capital Region Deals and tagged clearance, JCPenney. Bookmark the permalink.